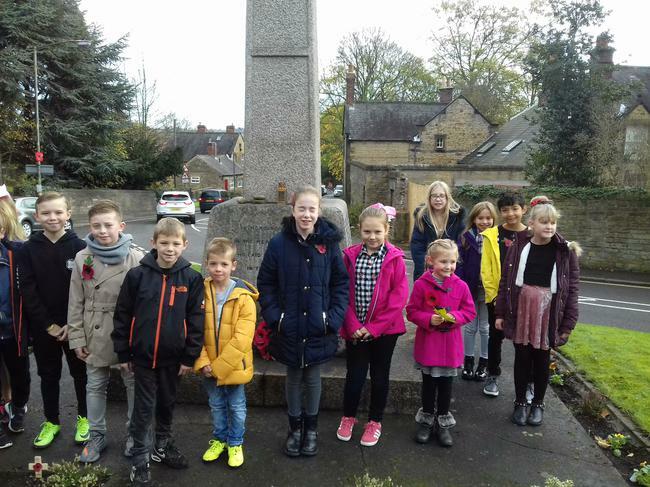 The councillors have been chosen, but are a bit shy at the mo, and reluctant to have all of their photos on the website. The Secretary is in the middle of sorting out the minutes and they will appear on here, and the Council noticeboard as soon as they are done. 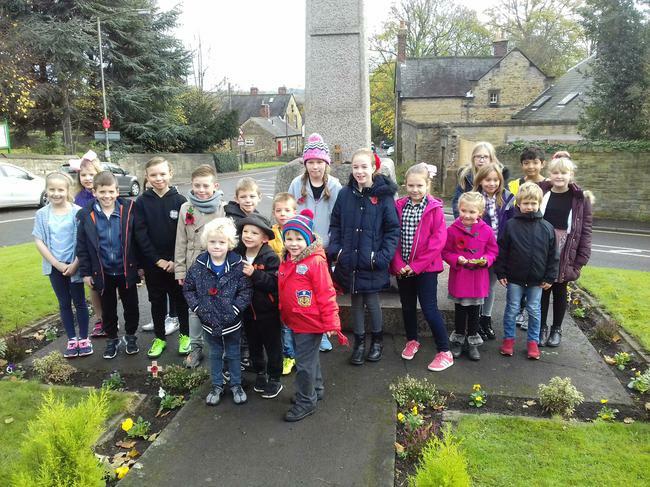 In the Meantime, if you have any questions, thoughts, ideas or anything that you think we should talk about, your councillors are in your classes - give them a nudge! On the 11th hour of the 11th day of the 11th month, the guns fell silent. 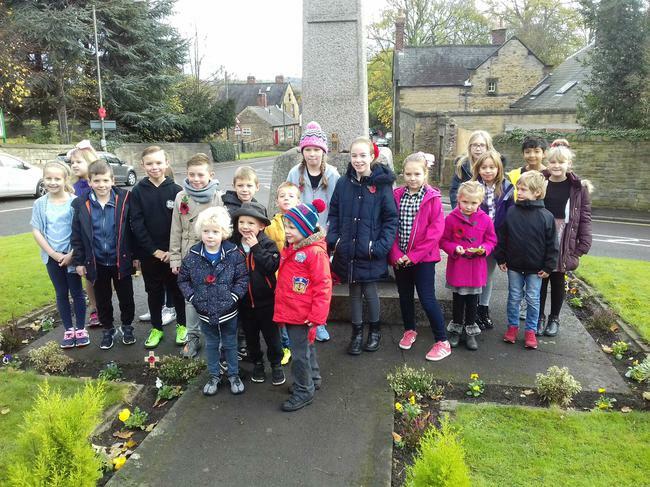 This is the time that we remember those that fell in the Great War, WWII and other conflicts around the world. 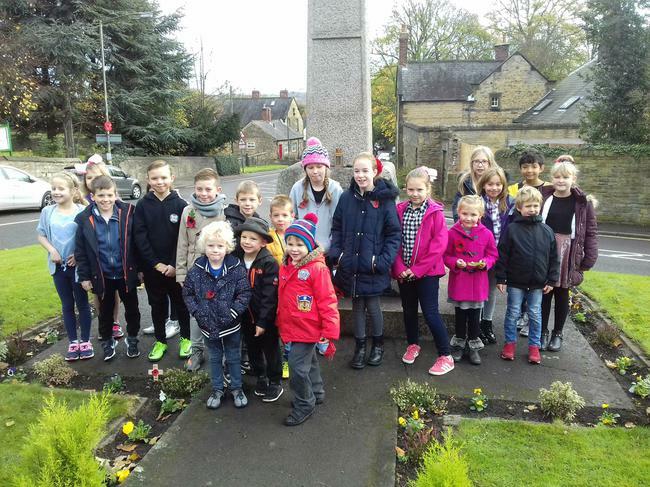 This year, as Armistice Day fell on a Saturday, the School Council, along with others, took time out of their day to pay respects at the Eckington memorial. 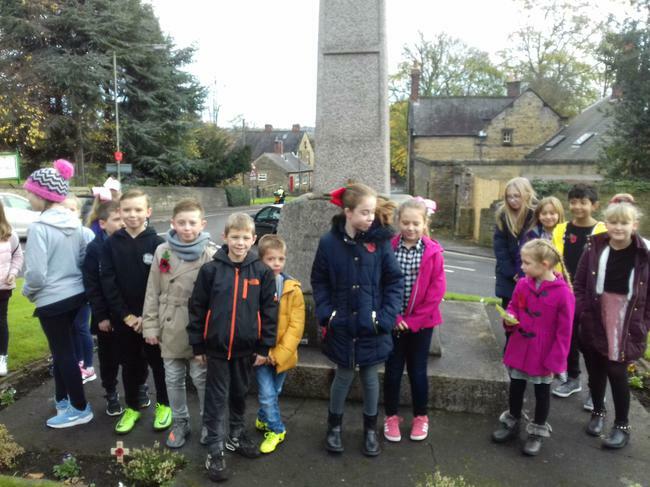 Whilst never an 'enjoyable' occasion, it was wonderful to see how our children conducted themselves during the two-minutes silence and the respect they paid to the fallen. 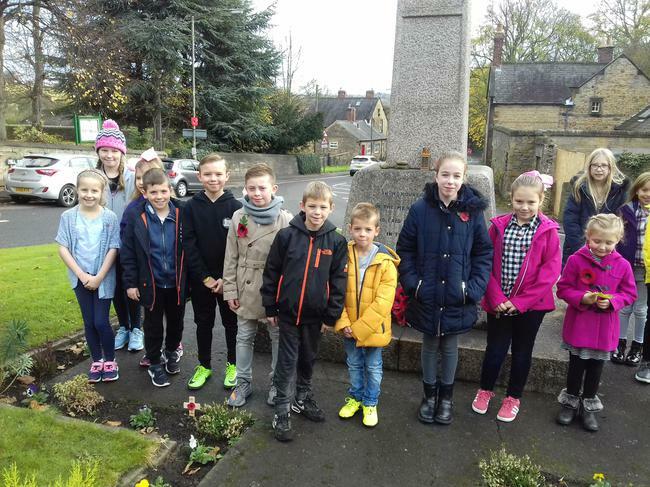 My thanks also go to the mums, dads, grans, granddads and other family members for their efforts in getting the children there.